The study found that falls are the leading injury-related cause of death and need for medical care among Californians age 65 and older. More than half a million older Californians — 12.6 percent of the state’s senior population — fall more than once a year, but nearly 60 percent of them fail to seek medical attention afterward, according to a new study by the UCLA Center for Health Policy Research. 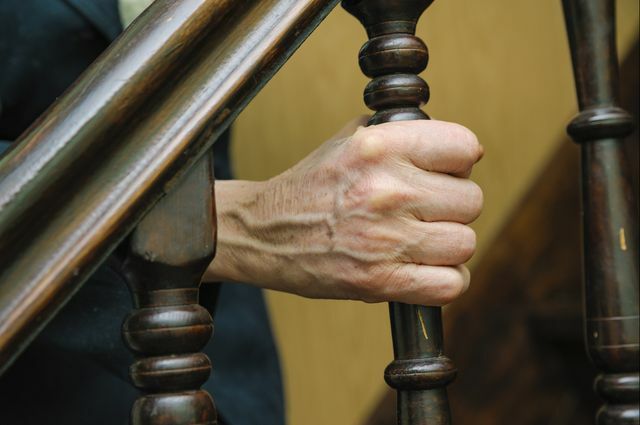 The study also found that among those who did seek treatment, 40 percent did not receive counseling from a medical provider about how to prevent future falls. Falls are the leading injury-related cause of death and need for medical care among Californians age 65 and older, according to the study. In 2012, more than 1,800 seniors died after falling and seniors’ fall-related injuries resulted in more than 72,000 hospitalizations. “There is a cost in terms of both lives and resources when doctors fail to talk to seniors who have already fallen about how to prevent future falls,” said Steven Wallace, associate director of the Center for Health Policy Research and author of the study. Using data from the 2011–12 California Health Interview Survey, the study found older seniors are twice as likely as younger seniors to have multiple falls: nearly 1 in 5 people 85 and older reported that they fell more than once a year, compared with 1 in 10 of those aged 65 to 74. Nearly a quarter of seniors who have suffered a stroke, and almost 20 percent of those with any disability, had multiple falls. Twenty-six percent of seniors with moderate mental impairment had multiple falls, as did 38 percent with severe mental impairment. The study also found that less than one-third of the roughly 325,000 seniors who didn’t seek care after multiple falls talked with their doctor during a regular medical visit about how to prevent falls. Wallace said the figure isn’t very surprising because the patients probably didn’t reveal that they had taken some tumbles. But Wallace was more surprised that the large percentage of doctors who knew they were treating multiple-fall patients failed to discuss how to avoid future incidents: 40 percent of seniors did not receive any fall prevention recommendations from a doctor or medical professional during their care. 41.4 percent started using a cane or walker for stability. 32.4 percent reviewed medications that interfere with motor skills. 31.5 percent changed daily routines, including wearing different footwear and altering walking routes. 28.8 percent started an exercise or physical therapy program to improve their strength. 26.9 percent made modifications in their homes, such as installing grab bars, improving lighting and removing hazards like area rugs. The study recommends that public policy encourage health care providers to screen all older patients for risk of falls during wellness visits and make recommendations for preventing falls. Medi-Cal and Medicare providers could be given incentives to screen and make recommendations. The report notes that the American Geriatrics Association has guidelines on screening for falls and providing referrals, and that many state and federal programs have programming in falls prevention, but it also highlights that these programs need funding to continue. The study also suggests that older Californians be made more aware of the risks of falling and how to reduce those risks — through screening by their physicians and fall prevention programming from community groups and government agencies — in order to help them stay securely on their feet. The Archstone Foundation is a private grantmaking organization whose mission is to contribute towards the preparation of society in meeting the needs of an aging population.